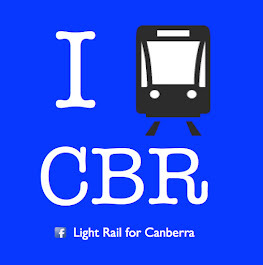 ACT Light Rail: Canberra ranked 7th out of 8 in Australian capital cities that are "motorist unfriendly"
Canberra ranked 7th out of 8 in Australian capital cities that are "motorist unfriendly"
A recent article in the Age newspaper ranked Canberra as 7th out of 8 Australian capital cities that are motorist unfriendly. This must be wonderful news for the people who claim that Canberra was a city designed for car use. The Age article is based on a report issued by Virgin Car Insurance and is typically motorist focussed using variables such as tolls parking fees etc to compile its rankings. It concluded Sydney was the most 'motorist unfriendly' capital city. Disappointingly for Canberra motorists, the report concluded that Canberra was the most expensive capital city to buy petrol in, has the most expensive car registration and, the highest rate of car theft. "Sydney may be well regarded as one of the world's most liveable cities, but that's certainly not the case for those who own a car." "Skyrocketing costs when it comes to tolls, parking and fines means more pain for Sydney drivers. "The cost of running a car in Sydney is undoubtedly putting pressure on the family budget and may well be starting to push people off the road"
If the cost of running a car is causing people to investigate public transport, that can be viewed as a good thing. I don't think that punishing motorists is the right way to encourage public transport use, but in Sydney and Canberra we see the bizarre case where motorists are punished financially, yet there is no real increase in public transport use. The only proven way to reduce road congestion is to offer proper mass transit public transport linking employment and population centres. If there is no alternative, people will drive.